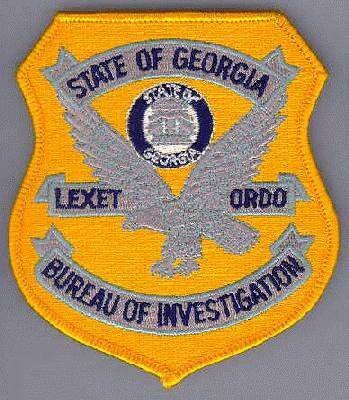 Recently the Georgia Bureau of Investigation closed its Handwriting Analysis Unit, which has been in operation for the last 20 years. 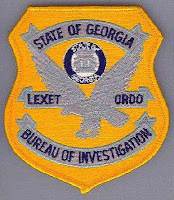 According to The Atlanta Journal-Constitution, experts say that the long-established crime-solving tool of handwriting comparison, which came into use more than a century ago, is going the way of snail mail and cursive penmanship. Her work was eventually culminated into an article titled- "Can pen and paper survive in a world of touchscreens and tablets? " where i and other Graphology experts were quote. The article eventually came up quite well and would recommend everyone to read. 1. What is it about handwriting analysis that you find most fascinating? There are many things about Handwriting Analysis that has kept me hooked on to it for years. But if i have to pick-up just one thing, it would be the sheer power that Handwriting Analysis gives to you as an individual to understand a person's personality by not even talking with them formally. There has been many instances where i told someone something about their personality by just looking at how they scribbled on the board. The accuracy of observations left them flabbergasted. Handwriting Analysis is a science and depending upon the skill of a person analyzing the handwriting, the accuracy results are great (90-95%). 2. Why do you think some consider it a "dying art"? Do you agree with them? Why/why not? a) Even though adults do most of their writing work with some form of keyboard, still every kid learn to hand-write the first thing. If writing with hands were not that important, then kids would be just given keyboards at the beginning of their education. b) Most of the major mobile or desktop Operating system provider have a feature called "Handwriting Recognition" and other features like the one that allows people to scribble on the phone or tablet. Infact this has been projected as a differentiating factor in many new generation phones. This makes me think that even though the medium on which you write (earlier Paper) have changed (mobile screen), the handwriting itself is not dead. Thus, i believe Handwriting as a means of expressing thoughts is going nowhere but like with many things with life around us (because of advancement in technology) is undergoing a shift. I have a problem with Handwriting Analysis being called as an "Art" because it’s a science. When we write, we use our conscious mind to think about the content. Whereas the subconscious mind influences the way the text is written, i.e. the letter formation, slant of writing, strokes etc. 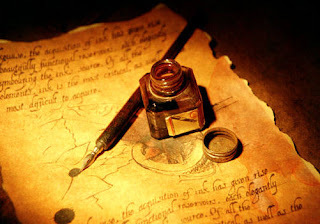 You never really think before writing certain letter such as "t", or "m" or "o" or anything else, it just flows. This is what gives vital information about personality. In fact, the word handwriting is a misnomer; it should be actually mind writing, as the brain is involved in guiding your hand to move. 3. As someone interested in it, what do you think would the world be like if handwriting analysis as a method for a) finding out more about a person's personality, and b) cracking criminal cases, became totally obsolete? Will it have a huge impact? tests is that they are reactive in nature but on the other hand require no skill from the person assessing. Whereas Handwriting Analysis is more proactive in nature but require a skill. Learning any skill takes time and in today’s fast paced, quick fix world- people don’t always give first priority to learning something new if they find faster and even less accurate means. I will look at your question a bit differently and rather answer what will happen if Handwriting Analysis stays and become more powerful. In that case, the world will be a better place in which people understand each other better, the organizations will have less people conflicts and lot of people specific decisions can be taken quickly and accurately. Infact, there is one more important but lesser known use of Handwriting Analysis and that is the stream of science called as Grapho-Therapy, which simply means that one can instil changes in one's personality by practicing the change in the way one writes. Yes, it’s a powerful use of Handwriting Analysis, which i have seen worked really well. Even in criminal investigation, it will have a huge impact depending upon the case. If it’s a case that involves handwritten note, then not involving handwriting analysis, one will lose an important clue that could solve the case. Do read this case involving Indian President to understand how handwriting analysis can help is such cases. 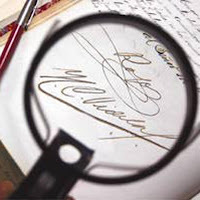 There are a myriad of such examples where handwriting analysis have helped solve a case. So I believe justice will be poorer if Handwriting analysis were to really die, which I think won’t happen. I have read your post about Handwriting Expert it's really amazing post thanks for sharing.